In rare cases, baseball games are forfeited, usually when a team is no longer able to play. In the event of forfeiture, the score is recorded as 9-0, as stated in rule 2.00 of the Major League Baseball Rules Book. The same is true for Little League, per Rule 2.00, under the definition of "Forfeit", there is 1 run allocated per inning, so for Minors and Majors divisions, that would be score of 6-0, and for Intermediate and above divisions, that would be a score of 7-0. However, the actual game statistics are recorded as they stand at the time of the forfeit; the game is recorded as a loss in the standings for the forfeiting team and a win for the other team, even if the forfeiting team is ahead at that point. The 9-0 score equates to the number of innings in a regulation game. Sports with seven-inning games, such as high school baseball or softball, generally award a rule-based score of 7-0. In various sports, a forfeit is a method in which a match automatically ends and the forfeiting team loses. Although not uncommon in baseball's early days, forfeits are now rare. There have been only five forfeits in Major League Baseball since 1954; the last forfeit was in 1995 and prior to that the last one had been in 1979. Since 1914, there has only been one incident where a team deliberately made a decision to forfeit a game, in 1977. In college baseball, the NCAA has the authority to retroactively forfeit games if the winning team is found to have violated NCAA rules. The 1885 World Series was an end-of-the-year playoff series between the National League champion Chicago White Stockings and American Association champion St. Louis Browns. The Series was played in four cities. It ended in a disputed 3–3–1 tie. In games that were played before the advent of stadium lighting (or had an enforced curfew), forfeits were also sometimes declared as a result of a team's stalling tactics. A baseball game is not official until 5 innings have been completed, or 4-1/2 innings if the home team is winning. Consequently, a team that was behind by a considerable number of runs before the end of the fifth inning might deliberately slow down the game, in the hopes that darkness or the curfew would come before the game was declared official. Note, however, that deliberate attempts to slow down play for this reason are subject to a forfeiture being declared. The last such incident took place in 1954. 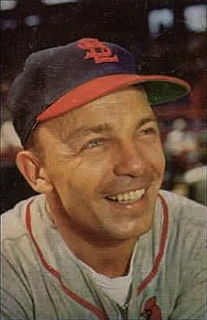 On July 18, the visiting Philadelphia Phillies were leading the hometown St. Louis Cardinals 8-1 in the fifth inning of the second game of a doubleheader. With darkness approaching and the game not yet official, Cardinals manager Eddie Stanky brought in three new pitchers in the inning. Umpire Babe Pinelli, citing an unnecessary delay of the game on the part of the Cardinals, forfeited the game to the Phillies. The term "Behind Closed Doors" is used in several sports, primarily association football, to describe matches played where spectators are not allowed in the stadium to watch. The reasons for this may include punishment for a team found guilty of a certain act in the past, stadium safety issues or to prevent potentially dangerous clashes between rival supporters. It is predicated by articles 7, 12 and 24 of FIFA's disciplinary code. On April 29, 2015, the Baltimore Orioles defeated the Chicago White Sox 8–2 in the first crowdless game ever played by Major League Baseball teams. Due to civil unrest in Baltimore following the death of Freddie Gray, an African-American man who was critically injured while in police custody 10 days earlier, there were insufficient security resources available for the game. The previous two games in the teams' series had been postponed, but the remaining game could neither be moved to another venue on short notice nor made up later in the season, so the decision was made to play the game at Camden Yards without allowing any fans to attend. The scheduled evening start time was also moved up to the afternoon for security reasons. Robert F. Kennedy Memorial Stadium is a multi-purpose stadium in Washington, D.C. It is located about two miles (3 km) due east of the US Capitol building, near the west bank of the Anacostia River and near the D.C. Armory. It opened in 1961. Earl Sidney Weaver was an American professional baseball player, Hall of Fame Major League manager, author, and television broadcaster. After playing in minor league baseball, he retired without playing in Major League Baseball (MLB). He became a minor league manager, and then managed in MLB for 17 years with the Baltimore Orioles. Weaver's style of managing was summed up in the quote: "pitching, defense, and the three-run homer." He did not believe in placing emphasis on "small ball" tactics such as stolen bases, hit and run plays, or sacrifice bunts. He was inducted into the Baseball Hall of Fame in 1996. Richard Raul Garcia is a former umpire in Major League Baseball (MLB) who worked in the American League (AL) from 1975 to 1999. Garcia wore uniform number 19 when the AL adopted numbers for its umpires in 1980. The 1977 Baltimore Orioles season was a season in American baseball. It involved the Orioles finishing second in the American League East with a record of 97 wins and 64 losses. Martin John Springstead was an umpire in Major League Baseball who worked in the American League from 1966 to 1985 and had since worked as an umpire supervisor. He was the youngest umpire ever to serve as crew chief in the World Series, heading the staff for the 1973 Series at the age of 36 years and 3 months. ↑ Leventhal, Josh (2000). Take Me Out to the Ballpark: An Illustrated Tour of Baseball Parks Past and Present. New York City: Black Dog & Leventhal Publishers. ISBN 1-57912-112-8. ↑ "Yankees Win Finale on a Forfeit, 9-0" (PDF). The New York Times. October 1, 1971. p. 49. ↑ "Riot by Indians' Fans in 9th Forfeits Game to Rangers" (PDF). The New York Times. June 5, 1974. p. 35. ↑ "Orioles Lose by a Forfeit In Bull-Pen Mound Dispute" (PDF). The New York Times. September 16, 1977. p. 93. ↑ "Anti-Disco Rally Halts White Sox" (PDF). The New York Times. July 13, 1979. p. A16. ↑ "Rowdy Fans Cause Dodgers to Forfeit Game". The New York Times. August 11, 1995. p. B9. Retrieved 2010-07-13. ↑ Baker, Chris (1995-08-11). "Three Strikes and Dodgers Forfeit: Baseball Game is called after fans throw balls on the field with one out in the ninth. Nomo overshadowed". Los Angeles Times .